For the past week I have been really focused on creating a printable…any printable really. I have researched, looked for templates, software, you name it. Turns out pretty much all you can do is hand create one, so that is what I did. I am very excited to offer you my VERY FIRST Free Envelope printable, perfect for friends, family, or teachers! 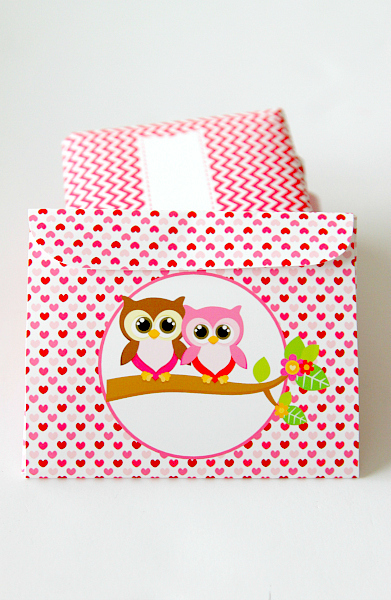 It’s a larger envelope and a great size for snail mail or hand written letter. Just download from my PDF file which contains all 4 printables, make sure you select ‘best’ printing. Best to open with PDF Complete (or PDF special edition) to ensure everything is in the right place. TIP: Use photo paper for brilliant colors like below! 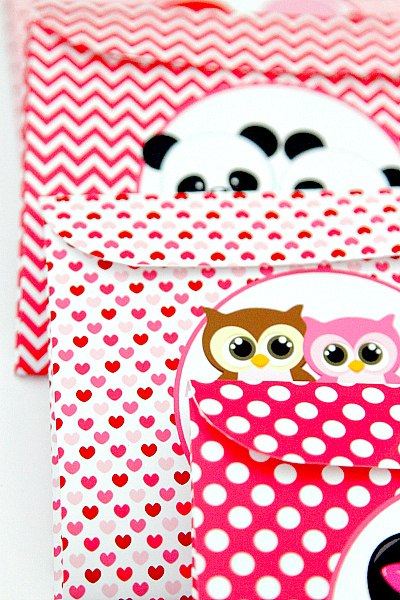 There are four designs in pretty Valentines Day colors and patterns, with love birds, love pandas, love penguins and cute owls. The colors may vary from what you see here depending on your computer monitor and printer. I printed a few times on “regular” printer paper and it wasn’t nearly as vibrant as photo paper. Just print and cut out. I used regular scissors myself taking care to follow the lines. I wanted to get all fancy and do a scalloped top but I figured that would be a serious pain to cut out! Fold the sides inward evenly, then flip and fold up the bottom. Make sure you make a strong crease. Now all you have to do is fold down the top flap and secure! You can use a bit of tape, glue dot, or get creative and hole punch the flap and the bottom and insert a little string and tie with a bow. I also left a little place in the front to write the name of the recipient. « Pinwheel Pencil Valentines: You Blow Me Away, Valentine! These are so stinkin adorable! We have to get some Valentines made for co-op next week. I’m going to ask Cadence if she wants to do these. 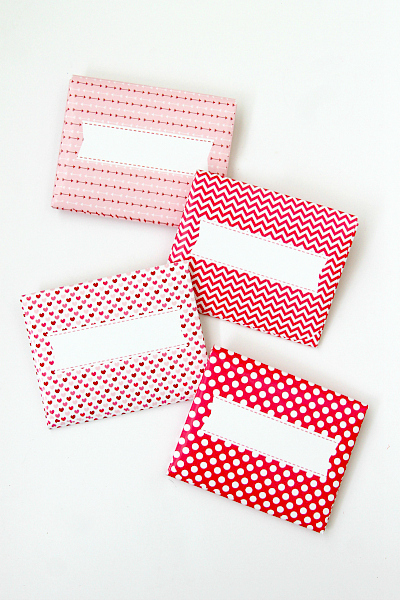 These are seriously the cutest little envelopes!!! Love these. And I don’t think they are only for V Day. I would use them for little love notes. Too cute! Looks like you worked really hard at these. Will also pin them for later. 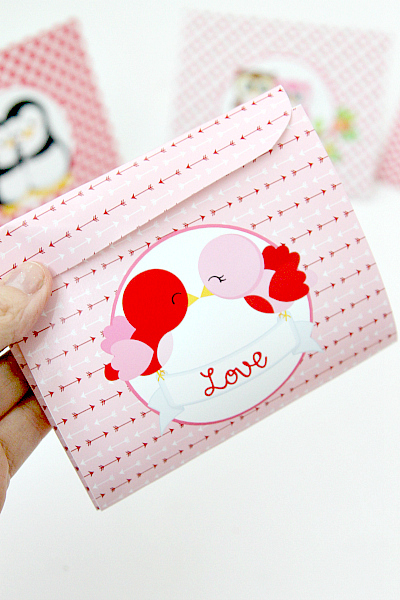 I think that any person will be glad to receive such an envelope with greetings. Method of making them is very easy and doesn`t demand any special skills s I want t make the same thing. These are just so adorable! I pinned them so I remember to make them once I buy some colored printer ink! You did a great job- they are so cute!